Germany is one of the most popular study destinations in the world and boasts one of the largest numbers of ranked universities in the QS World University Rankings® at 45, with eight appearing in the global top 150 in 2019 and a further 10 in the top 300. Read on to discover how the top universities in Germany ranked this year, including a closer look at the top 10. Ranked joint 186th in the world this year with the US’ Case Western Reserve University, Universität Freiburg is one of the oldest top German universities, established in 1457. It now has over 24,400 students including many internationals. Eberhard Karls Universität Tübingen is ranked 168th in the world in 2019 and is particularly well regarded for its education and research in the fields of medicine, law, and theology and religion. Heading to the capital, Technische Universität Berlin is ranked 147th in the world this year and is known for its engineering programs, with particular prestige in the fields of mechanical engineering and engineering management. Germany’s largest technical university, Rheinisch-Westfälische Technische Hochschule Aachen is ranked 144th in the world in 2019, with a very high score for its reputation with graduate employers (one of the six indicators used to compile the ranking). Ranked 130th in the world this year, Freie Universität Berlin was founded in 1948 and therefore celebrates its 70th anniversary this year. It’s one of the eleven elite German universities in the German Universities Excellence Initiative. Berlin’s highest-ranked institution continues to be Humboldt-Universität zu Berlin, which is ranked 121st in the world and is considered particularly prestigious for arts and humanities subjects, achieving 24th place for this in the latest QS World University Rankings by Subject. Ranked 116th in the world this year, KIT, Karlsruher Institut für Technologie is a leading university for engineering and the natural sciences. It earns scores in the top 100 for its reputation with employers and research impact (citations per faculty member). Ruprecht-Karls-Universität Heidelberg is up four places to rank 64th in the world in 2019 and continues to be third among the top universities in Germany. It’s also the country’s oldest, having been founded in 1386. Also up four places this year is Ludwig-Maximilians - Universität München (LMU), now ranked 62nd in the world (just one spot behind TUM). Established in 1472, LMU has been associated with 42 Nobel Laureates, including Thomas Mann. Technische Universität München (TUM) continues to claim the number one spot among the top German universities, going up three places to rank 61st in the world in 2019. TUM celebrates its 150th anniversary this year and is known for its entrepreneurial spirit, with strong connections to employers and scientific institutes worldwide. Technische Universität Dresden – ranked 191st in the world. Georg-August-Universität Göttingen – ranked 197th in the world. Universität Hamburg – ranked joint 223rd in the world. Technische Universität Darmstadt – ranked joint 253rd in the world. Rheinische Friedrich-Wilhelms-Universität Bonn – ranked 255th in the world. 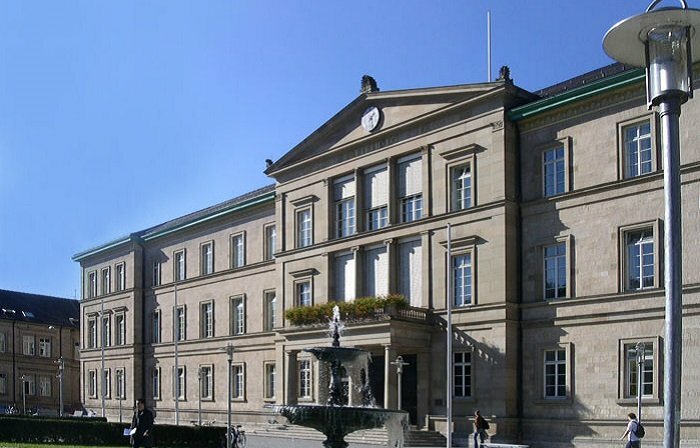 Universität Stuttgart – ranked joint 260th in the world. Universität Frankfurt am Main – ranked joint 279th in the world. Universität Erlangen-Nürnberg – ranked joint 299th in the world. Universität Köln – ranked joint 306th in the world. Universität Jena – ranked joint 326th in the world. Westfälische Wilhelms-Universität Münster – ranked joint 329th in the world. Universität Ulm – ranked joint 332nd in the world, up 25 places. Universität Mannheim – ranked joint 338th in the world, up 50 places. Ruhr-Universität Bochum – ranked 372nd in the world. Universität Konstanz – ranked joint 397th in the world. Johannes Gutenberg Universität Mainz – ranked joint 407th in the world. Christian-Albrechts-Universität zu Kiel – ranked joint 453rd in the world. Universität des Saarlandes – ranked joint 461st in the world. Universität Hohenheim – ranked joint 495th in the world. Technische Universität Braunschweig – ranked joint 500th in the world. After the global top 500, the remaining universities are ranked in ranges, starting at 501-510 and continuing to 801-1000. Universität Bremen – ranked 511-520 in the world. Julius-Maximilians-Universität Würzburg – ranked 521-530 in the world. =33. Justus-Liebig-Universität Gießen – ranked 551-560 in the world. =33. Leibniz Universität Hannover – ranked 551-560 in the world. Martin-Luther-Universität Halle-Wittenberg – ranked 561-570 in the world. Universität Regensburg – ranked 571-580 in the world. Universität Leipzig – ranked 581-590 in the world. =42. Universität Rostock – up from 801-1000 last year. To learn more about studying in Germany, download our complete guide, which includes advice on applications, tuition fees, studying in English, student visas and more. Medical Doctors International Studies conducting FREE OPEN HOUSE discussion on KNOW ALL ABOUT STUDY MEDICINE IN EUROPE on 19-20 August, 2018 in Delhi by delegates from Israel. All are cordially invited.